I like this shot of my mom. 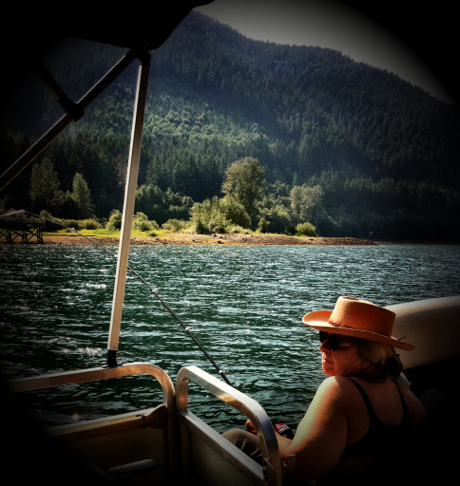 We rented a pontoon boat at Detroit Lake the other day and all four of us went out fishing. Didn't catch anything, but had a really nice cruise around the lake.